I've been absent again for a little while. Whilst I have been ridiculously busy, as per usual, I've also been searching for the right words. You see, my very lovely friend Lisa passed away last week and right now it's hard to make sense of a world where she is gone. Because, quite simply, it's just so ridiculously unfair. It's hard to put into words just how wonderful she was. Funny, beautiful and completely and utterly badass. She inspired me more than she knew and I'm so thankful that I was able to call her a friend. The last time I saw Lisa in person was at Glastonbury in 2011. 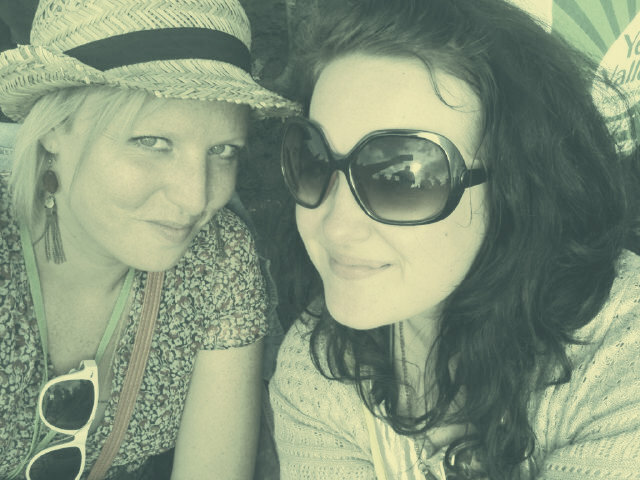 We drank gin-in-a-can, ate Pieminister pies and danced to Tinie Tempah in the sunshine. Pretty flippin' special. So, this year at Glastonbury I'll be raising a drink or five to Lisa Lynch, my friend, who shone so brightly that she dazzled.